9:46pm Start sweating immediately as I stepped outside to meet my driver to the hotel. 10:11pm Crash course in India travel – cars don’t use lanes, constant horns, and mopeds zipping through everywhere! I could have traveled half way around the world with the sole purpose to compete – minimizing distractions and unfamiliar variables. But this was my first time in India! While I planned on being cautious about getting sick, I wanted to at least see as much as I could, with minimal filters. She was right. Later that day about 8 of us competitors took a taxi into Mumbai’s waterfront and explored for the afternoon. We were constantly approached – young kids, teenagers, families – all wanting to see our muscles/hands or take a photo with us. I even had a group of 10-year old girls come up to me saying, “selfisu?” After my perplexed look they then pointed at me with their phone and repeated, “selfie?” The overall vibe was interested energy. Most people just seemed curious, as athletics is nowhere near as dominant in their society as it is in Western cultures. 8:30am – Wake up in Navi Mumbai. Step out of my room and start sweating. At least it kept me from feeling stiff from the travel! I absolutely loved the food. 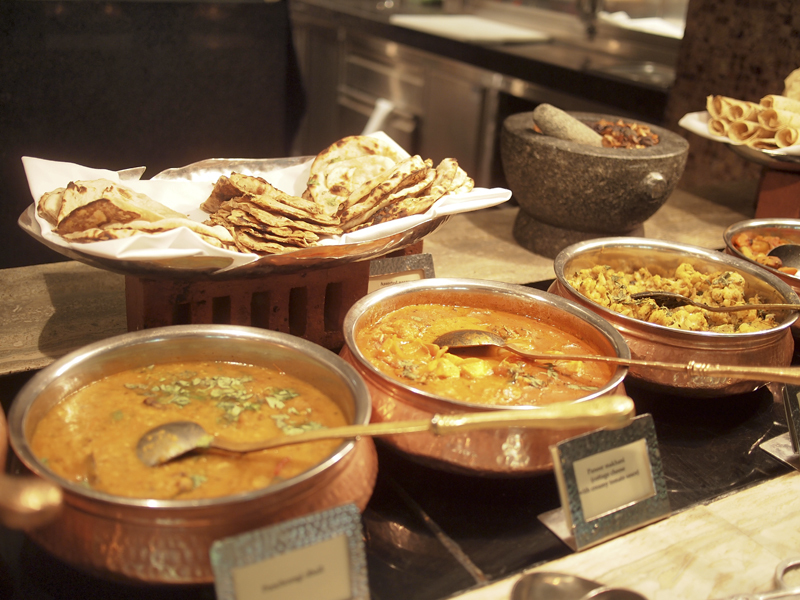 The hotel had multiple restaurants, as well as the buffet every morning with prepared breakfast/lunch options. I would bring down my phone, look up the ingredients of the different dishes, sample them all, then stock up on my favorites to eat throughout the day. The turmeric, ginger, and other spices in most food perfectly complimented the heat – anti-inflammatory spices with salt to calm the body and replace sodium. I don’t know if I could eat that style all the time, but in such a muggy environment it was amazing! The hotel provided bottled water, and between the 5+ teams that were staying there, we downed cases of it daily ; ) Water was our main concern. Even if fresh food, such as fruit, was clean, we were never sure what water it was rinsed with. So most of us stuck with the rule – boil, peal, or don’t risk it. 10:30am – Run in the mini EC room. Then watch men’s qualis. 3:26pm – Check into Iso and compete! The warm up wall was outside, shaded, but in over 90 degree heat and humid. 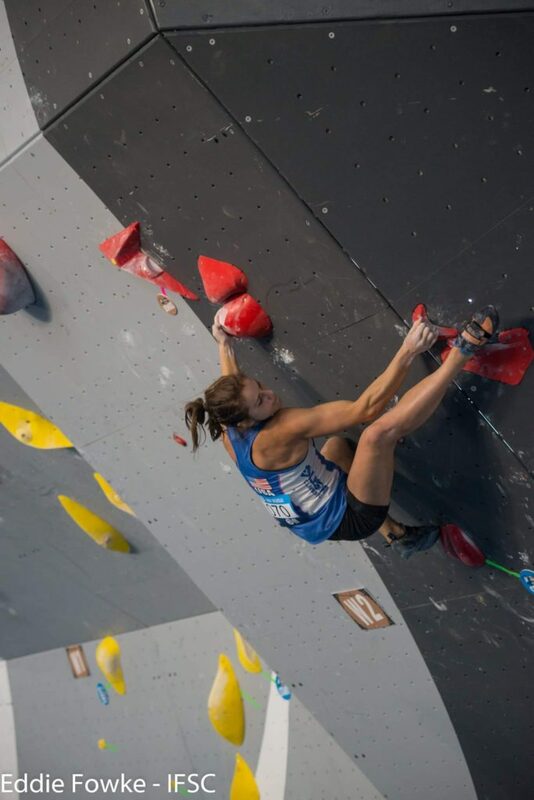 Considering it was the country’s first IFSC WC, the comp went incredibly well. 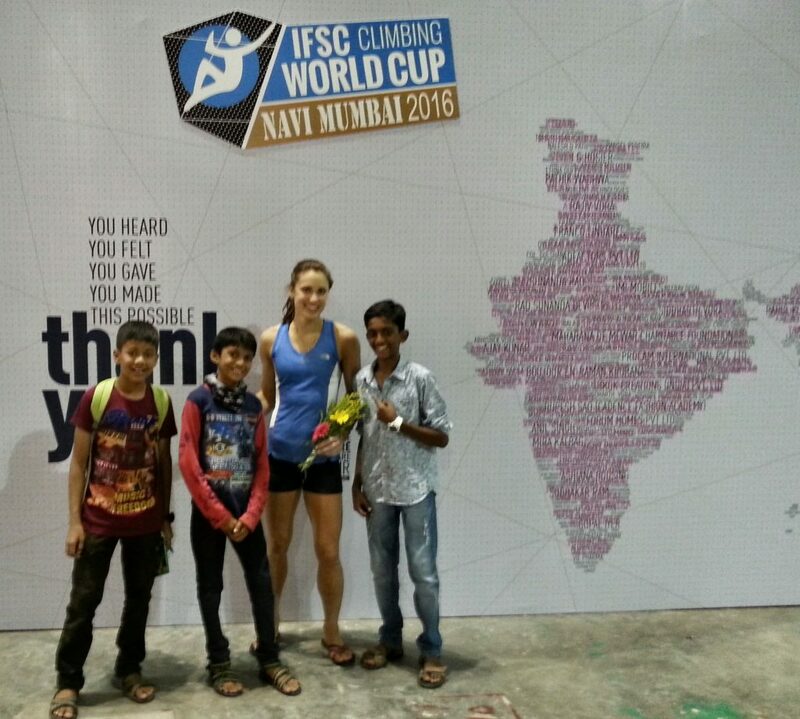 The Indian climbing community was overwhelmingly welcoming. Workers stayed far into overtime to get the walls finished, volunteers went above and beyond to help us with anything we needed. The crowd psyche and involvement never slowed. If anything the support only multiplied as their own athletes stepped out to climb later in the round. I had very vague expectations coming into this event. My mind was still a little distracted by outdoor projects and my body was slightly confused by the day of plane travel to extreme conditions. I could’ve researched more; instead, I arrived knowing little of what to expect. Luckily it was a great life-experience trip. 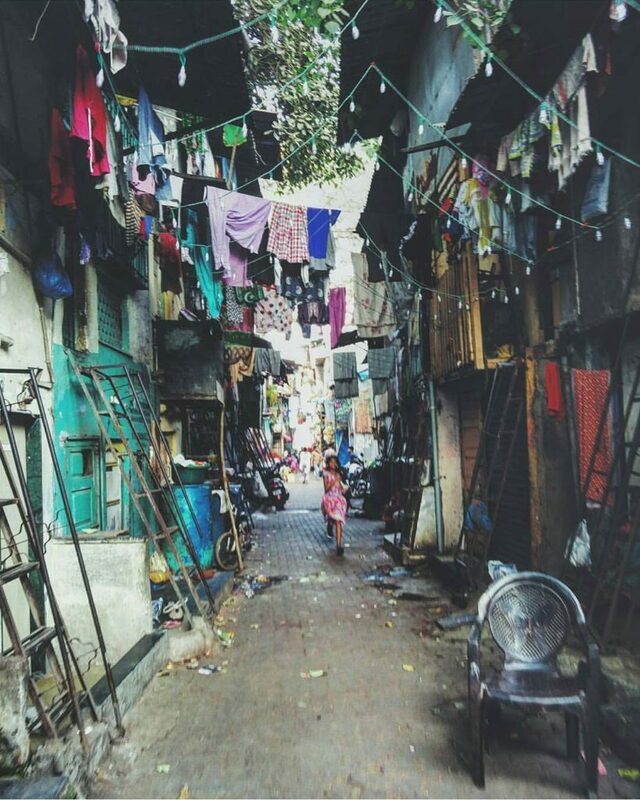 India was intense, both with positive vibes and exposed depressing situations. The community was remarkably supportive, the routes were fun, I fell in love with the food, but honestly, after only 5 days, I was ready to get back to clean air and green space. 10:00am – Pack up, check out, fly to Innsbruck that evening. Compete in 4 days. Love reading about your adventures and experiences, Lisa! Keep rockin’ it out there!